You don’t need to be a bona-fide artist to enjoy doodling and painting. While there are Web apps such as Canvastic and Windows apps such as the wonderful Artweaver Artweaver: Weaving Art for Free on the PC [Windows] Artweaver: Weaving Art for Free on the PC [Windows] Give me a blank canvas and some pencils, charcoal, or paint, and I'll rustle something up without a problem. It won't be worthy of hanging in a gallery but my mum would hang it in... Read More , there is something different about painting with a touchscreen. 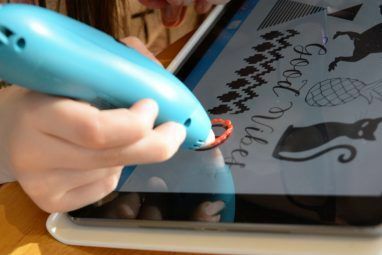 It requires less eye-hand coordination than painting with a mouse or a pen tablet, because you can see exactly what you’re doing – a bit like painting on a real canvas, especially if you have a stylus. In this space, Sketchbook SketchBook Express - The Last Drawing App You Will Ever Need [iPad] SketchBook Express - The Last Drawing App You Will Ever Need [iPad] When I first got my iPad, I knew I wanted to use it for drawing and sketching. 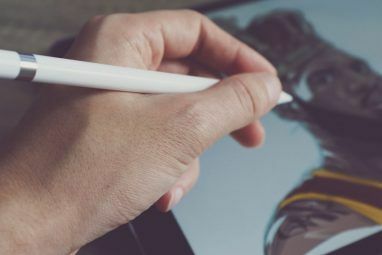 Not that I’m an artist by any means, I can barely draw a stick figure, but when you... Read More is one of the best-known application, but it’s getting quite a bit of competition. Today I’d like to show you Infinite Painter Free, a surprisingly powerful and intuitive painting app for Android [No longer available]. 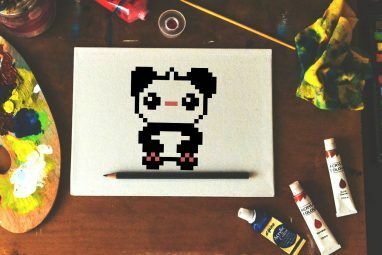 4.3-inch is considered large when it comes to smartphones, but when compared to a real canvas, or even just a piece of paper, it is positively tiny. This size constraint makes life hard for designers of painting apps. On the one hand, a powerful drawing app has many options and features. On the other hand, they must keep as much of the screen free as possible, so that you have space to see what you’re painting. The solution often involves pop-up controls, something Infinite Painter excels in. To get this pop-up, you touch the hue circle and swipe away from it. If you keep swiping away, the circle becomes an eyedropper which you can use to sample color from any part of the image. The same mechanism works for changing brush sizes: Swipe away from the brush circle, and you can change its size with a handy visual pop-up. The zoom feature makes it easy to keep your work in context: When you’re zoomed in on a particular area of the image, double-tap the screen quickly to zoom out to 100%. Once you see your work in context, you can double-tap again to zoom back in on the same spot as before, and keep working. Like most serious painting apps, Infinite Painter features support for layers. Layers are saved within your project, so you can save your work and come back to it later, editable layers and all. As you can see above, it is easy to adjust the opacity of a layer using the slider at the bottom. I can only wish the other toolbar buttons were as self-explanatory. I had to try some of them just to figure out what they do (the icons for horizontally and vertically flipping the layer are positively cryptic). As you may be coming to realize, Infinite Painter is brimming with options. To help you start using it, the author created a friendly, handwritten tutorial. It’s not a lengthy text you must read through, but instead a sequence of bite-sized steps. You read a step, practice it, and move on to the next one. Infinite Painter tries to detect when you’ve executed a step and show you the next one, but this did not work very reliably for me. I sometimes had to do a step several times, or simply sit and wait until Infinite Painter popped up the next step. 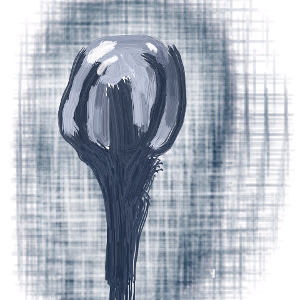 I’ve yet to review a perfect app, especially not one as complex as Infinite Painter. In my testing, one issue kept coming up: I would often lose the content of a layer: For no clear reason, the layer would just disappear, leaving me with nothing. Undoing my last few operations did not help, and neither did redoing them. I worked around this by saving my project and restoring it when needed. Other than this (admittedly annoying) issue, I was pleasantly surprised by the breadth and quality Infinite Painter Free offers. If you like to doodle, be sure to check it out. Amazing app! If this review is what Infinite Painter really is, Android apps are getting to be more complicated. Can't wait to download. This looks quite amazing. I'm constantly bewildered by the innovative apps that are created for Android. Downloading this before anything else!